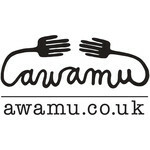 London to Amsterdam cycle challenge for awamu! awamu cic hasn't added a story. We're cycling over 285 miles from London to Amsterdam to help mum's in the slums of Kampala create nutritious gardens to feed the vulnerable children in their care! Many of the children Awamu work with were born with HIV and are on ARV medication. They must take the medicine 2-3 times a day and it must be taken with food or it will make you REALLY sick, cause a lot of pain and can cause long-term damage. Sadly, most of these children are lucky if they get one meal a day, with their parent or guardian living on less than 0.50p a day. Typically that meal will be a bowl of maize porridge, which contains little nutritional value. As the kids live in an urban area there is little very little space available for growing food, no good topsoil and a lot of contamination from open drains. But awamu and the mum's they work with have a plan! They want to build raised beds with 60 families so they can learn how to grow healthy nutritious food for the kids. They have already piloted the project with mum's like Grace (who you can see in the photo above) and it's having a huge impact on their health, education and income. 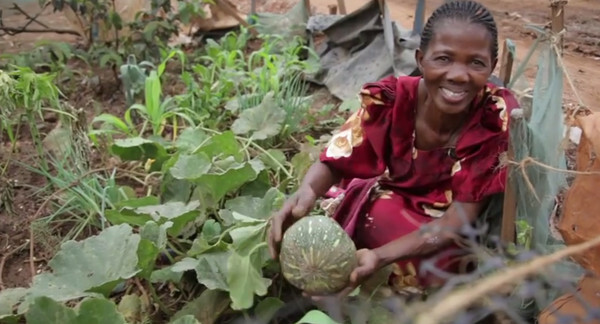 To complete the project we need to raise £5,683 to build 60 gardens. That works out at £99.35 per garden or (as there are on average 4 children household that we are targeting) just £24.83 per child. All the money we raise from this cycle will buy soil, seeds, tools and training for 60 families and will help to feed hundreds of children like Richard (who is you can see in the picture at the top of this page) for many years to come. Amy Huges, Elena and Dom Jiménez Busher, Sam Carrington, Stefan Goodchild, Joey Leech, Ian Wilde, Emma Scullion, Steve Willard, Kerry Bradshaw, Ryan Quinn, Jess Jackson, Christopher Marriott, Denis O'Hare, Sally Willmett, Richard Emerson, David Otridge, Beccy Evans, Michelle Owen and Kate Curtis. awamu cic hasn't posted any updates yet. awamu cic is managing the funds for this campaign.